Hong Kong | Tomorrow is “Tipsy Tuesday”! Tomorrow is ‘Tipsy Tuesday’ at BottlesXO! Every week means special deals on a new selection of wines. Tomorrow, if you order any of the following bottles then you’ll get TRIPLE the XO Points for each! Don’t forget that when you reach 50 XO Points you’ll receive a HK$250 voucher for your next order! 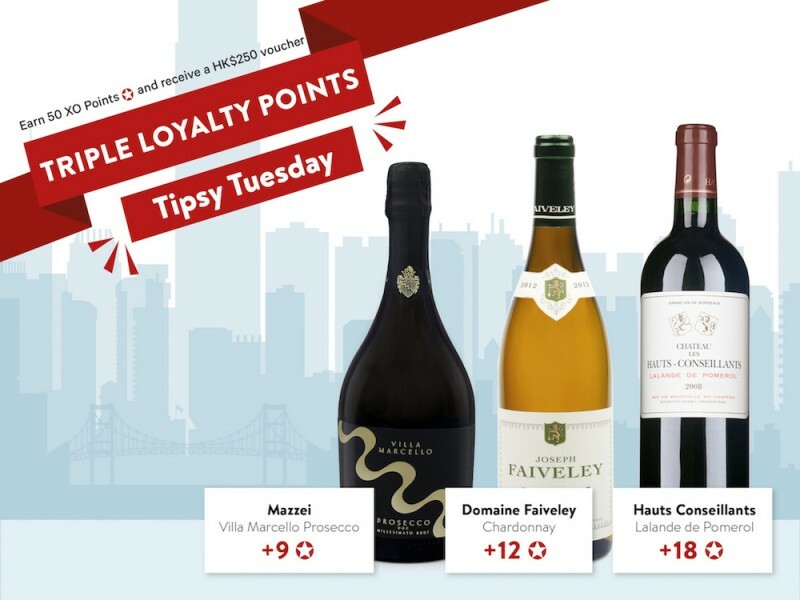 Every Tuesday, check the BottlesXO app and look out for the special “Tipsy Tuesday” ribbon to find out which bottles are specially discounted; getting through the week has never been easier. Download the BottlesXO app here.